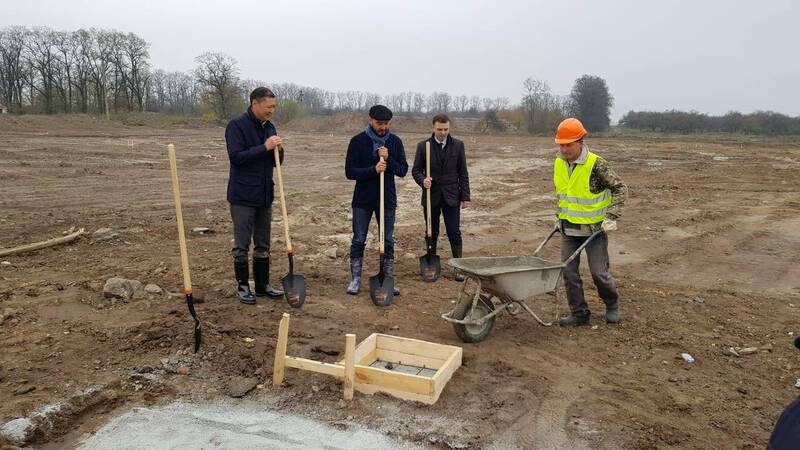 At the end of last week, Kusto Agro began construction on a complex of dairy facilities in the Ukrainian village of Lypne, in the country’s Zhytomyr Oblast. I was pleased to attend the opening ceremony with fellow Kusto Group Board Director and CEO of our agriculture business, Daulet Nurzhanov. This latest move is part of a greater strategy to expand Kusto Group’s operations in Ukraine, focused primarily on agriculture. The Lypne farm will be constructed in two phases. The first, expected to be completed by July 2019, will see a 600-heard barn for milk cows built, as well as a milking facility and milk-cooling system, allowing for immediate storage. I am particularly pleased this high-tech equipment will be provided by the world-leading DeLaval company, used by millions of dairy farmers. Additionally, the facility will include temporary housing for non-milking cows, birthing and quarantine sections. The loose keeping of cows will be a distinguishing feature of the farm, essentially making them free-range, an important consideration for the modern consumer. While developing this project, we have prioritised the latest technology and applied the lessons learnt from other agricultural operations in Ukraine and beyond. Elsewhere, we have used satellite monitoring and real-time data feeds to boost the quantity and quality of our crop yields. Here we will apply that same technology-focused approach and I am confident we will experience a similar boost to milk yields. The plan is for our target milk yield to be achieved by December 2019. In that time, we will create 50 jobs, which will help boost the local economy and give the community a real stake in the farm’s success. I am proud that Kusto Group is actively creating jobs and investment worth $8m in this part of the world, where our considerable involvement continues to grow. For the farm, Kusto Agro is planning to buy Holstein cows, one of the most popular and highly-regarded breeds in the world. Combined with our innovative deployment of the latest technology, in Lypne we are building a dairy farm fit for the 21st century in Lypne.